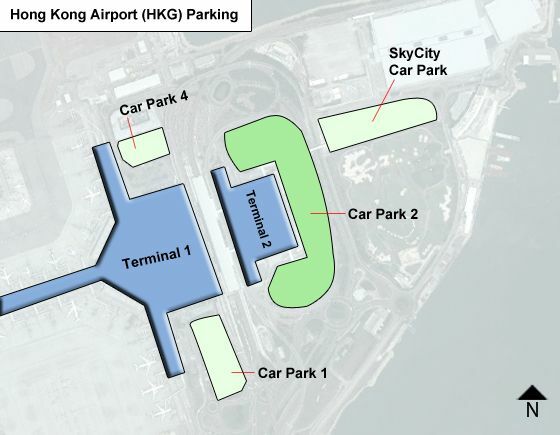 Currently, Hong Kong Airport has three parking choices: Car Parks 1, 2 and 4. Below are the rates for cars using either one of these car parks, followed by the rates charged for motorcycles. Car Park 1 and 4 offer complimentary parking for vehicles that park for 30 minutes or less. This offer can be used once in any three-hour period. Vehicles that stay longer than 30 minutes are charged in full for their stay. The 30-minute complimentary parking offer does not apply at Car Park 2. Note: All fees in Hong Kong dollars. Parking for part of an hour is charged as an hour. In any 24-hour period, parking is charged at the hourly rate or the daily rate, whichever is less. To apply for a monthly ticket, complete the application form or contact Car Park 4 Shroff Office in advance. Cash and Octopus stored value smart cards are accepted at Car Park 1, 2 and 4. You can settle payment at the Shroff Office in each car park or by swiping your smart card at the exit barrier. VISA cards are accepted at both Car Park 1 and Car Park 4. If the transaction amount is less than HK$500, simply swipe your VISA card at the exit barrier. Payment for parking at Car Park 2 can only be made in cash and octopus. Parking charges can also be paid at Automatic Pay Stations or at the Shroff Offices near car parks. Disabled Drivers: Spaces are reserved in Car Park 1, 2 and 4 solely for disabled drivers. Those using multi-story Car Park 4 receive a 50% discount on the listed parking fee. This offer is open to any holder of a Disabled Person's Parking Permit issued by the Hong Kong Transport Department. Complimentary services for vehicles: jump starts around the clock. A free shuttle bus service is provided to passengers commuting between Car Park 1, Car Park 2 and Terminal 1.